Born in Timaru, NZ, to Samoan parents, Atonio attended Wesley College where he played for the first team. After school he was invited to join Counties Manukau Rugby Academy. La Rochelle recruited the young prop in 2011 where he is still playing and having stayed in France for over 3 years he was eligible to play for his adopted country. In 2014 he got his International call up and played 3 Tests in that year. Skippered La Rochelle to promotion in 2013/14, made his Top-14 debut for them in August 2014 at Brive. Early in 2015, he was selected for the French 6 Nations Squad, making four appearances from the bench. Used primarily as an impact sub by the French national team, Atonio has become known on the international scene as an incredibly explosive carrier in the loose. Solid in the scrum, Atonio was selected in the final 31-man squad to represent France in the 2015 World Cup. Made his RBS 6 Nations debut off the bench against Scotland in the first round 2015 and has missed just one game in the tournament since, against Italy in 2015 round 4. Was in France's RWC2015 squad but made just one appearance starting at No.3 against Romania at London's Olympic Stadium. Has played in France's last 12 tests starting the last six at tighthead prop. In June 2016, he was called for the first time into the French national team to prepare for the 2016 November Tests. Atonio has been named in the upcoming 2017 6 Nations squad, Atonio has 11 Six Nations caps and is yet to score for France. 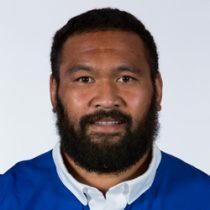 Atonio has been included in the France squad to tour to South Africa for a three-match series, at the time the front rower had represented France 25 times. Atonio, named for the 2019 Six Nations squad, has had 14 previous 6 Nations appearances. He has yet to score any points.